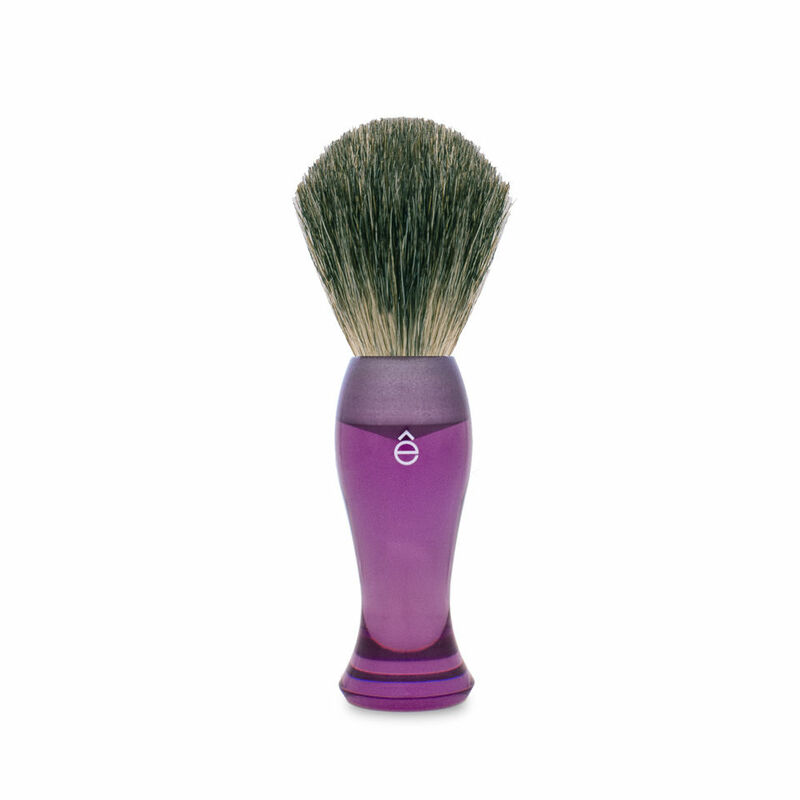 My beloved wife is in the marked for a shaving brush, and while she found one that she likes the looks of (see attached image) she don't like the price tag... So I figured whom better to ask than the knowledgeable member of the Shave Nook as to what similar options are available? She wants something long (12,5 cm / 5" and above), so she can easily lather her legs. She thinks that the elongated vase shape will give the best grip and control when reaching far (I tend to agree). As far as knots goes she have no firm opinions, but she do find my horse hair and my mixed horse/boar to be too scratchy. And if it's available in a "girly" colour, so much the better. Have an artisan make her a custom handle with a 26mm Plisson type or Tuxedo knot set to a 55mm loft. Leg shaver here. By far my favorite brush is this Rubberset 200-3 handle with a badger knot that I got off a shaving buy/sell/trade forum. The length, weight, and balance are exceptional. Prior to getting this brush, I tried various Rubberset knockoffs but none can hold a candle to the original. The handles pop up fairly frequently on auction sites. I second having an artisan make you a custom handle. You can have any shape, any color, and any knot you want. Go custom....Better brush, maybe cheaper too......If you factor in quality. wife has a pink brad sears that she loves. long handle and lathers great. simpson polo 10 best on the estate market, or have a custom maker do something in similar size with a 28mm knot or so... will hold a ton of lather. Get a Omega pro boar. My girl has access to all sorts of fibers sizes and handles and price ranges. Omega pro Boar is what she chose. My wife enjoys the two-tone tortoise brush with the synthetic knot from WCS. Says it's as soft as her makeup brushes and she likes the light blue color.